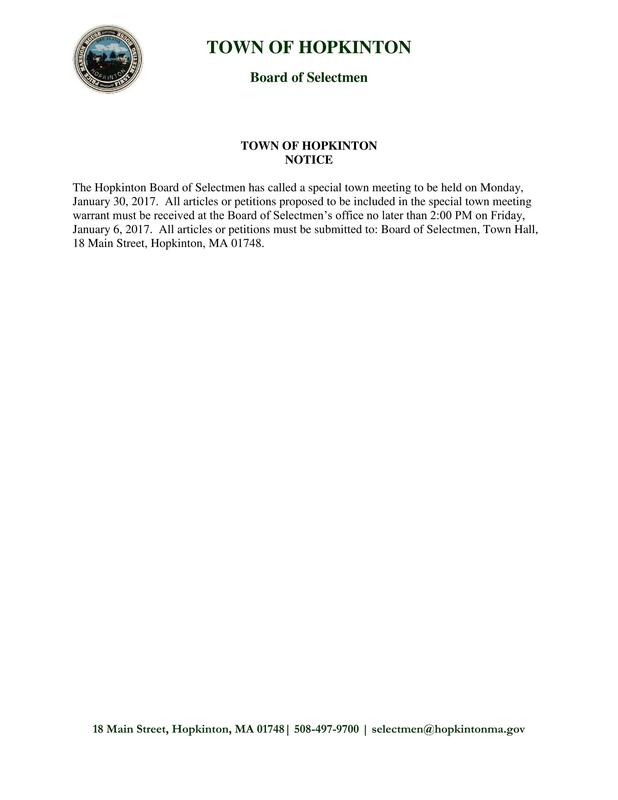 The Hopkinton Board of Selectmen has called a special town meeting to be held on Monday, January 30, 2017. All articles or petitions proposed to be included in the special town meeting warrant must be received at the Board of Selectmen’s office no later than 2:00 PM on Friday, January 6, 2017. All articles or petitions must be submitted to: Board of Selectmen, Town Hall, 18 Main Street, Hopkinton, MA 01748.